I'll be visit the local CHP branch and submit this footage thru appropriate channels. Thank you for the recommendation. It was a group of young black kids in the SUV creating trouble on the freeway. This occurred in Richmond, CA, where this city was formerly one of the top 10 most dangerous cities in the US. This guy drives like people like back in SC do. 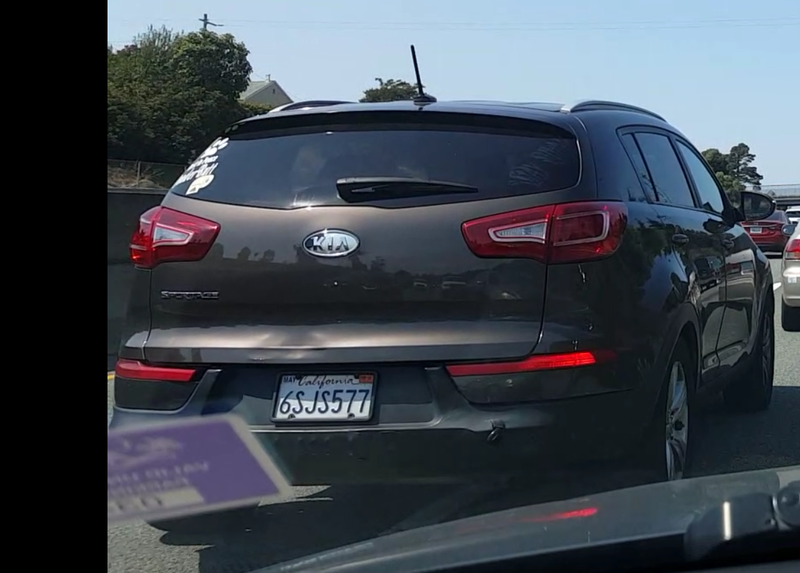 On 8/19/17, an aggressive young male driver on I-80 headed northbound was recklessly speeding, braking, and weaving in and out of traffic without use of signal lights. There were too many close calls, and this video I captured is the best evidence I can provide. This individual was likely distracted (phone? loud music?) and braked in front of my vehicle, giving me only a second to avoid collision. Please see video and share. Anyone is free to download and share, no permission is required. Be safe, educate, and watch out! In looking at the video this driver did use a turn signal but in the end has no legal right to slam on their brakes. I would have SENT this video to CHP so they can keep an eye out for this driver.